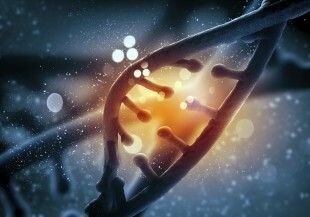 Cancer patients will now join those with rare diseases as part of the 100,000 Genomes Project, an ambitious initiative which aims to sequence 100,000 complete sets of DNA from around 70,000 NHS patients. Speaking at the Festival of Genomics, the Minister also announced that the government has committed a further £250 million in funding for genomics as part of the recent Spending Review. Launched by the Prime Minister in 2012 with over £300 million investment, the 100,000 GenoMInismes Project aims to better understand DNA and how it can predict and prevent disease, and launch a genomic medicines service in the NHS. By recruiting cancer patients, scientists will be able to build more detailed understanding of how their DNA affects their susceptibility to disease and response to treatment. This has the potential to benefit patients here in the UK, and could also help in the global fight against cancer. The recruitment of cancer patients is a significant milestone in the revolutionary 100,000 Genomes Project. It will help to unlock our understanding of the causes of this devastating condition, make the UK a leader in genetic research, and provide better diagnosis and more targeted treatment for thousands of NHS patients across the UK. Patients are being recruited through 13 Genomic Medicine Centres (GMCS) – specialist NHS sites selected across the country to deliver the project. With a patient’s consent, a test is performed on their tumour which is then compared to healthy cells from a sample of blood and saliva. The testing happens alongside the normal care and involves a small sample of their tumour being analysed in much more detail by scientists. As part of the project, scientists are conducting pioneering work to overcome the challenge of extracting enough DNA from the tumour that is of the right quality to be sequenced – a problem no country has solved – underlining the UK’s position as a world-leader in research and cutting-edge medical technology. A £250 million commitment to genomics as part of the Spending Review. This will ensure the continued role of Genomics England, the company established by the Department of Health to deliver the project, beyond the life of the project and up to 2021. That the number of genomes sequenced as part of the Project has now reached over 6,000. The report is intended to provoke a series of conversations about genomics, and ultimately build more public understanding and trust in this revolutionary form of medicine.